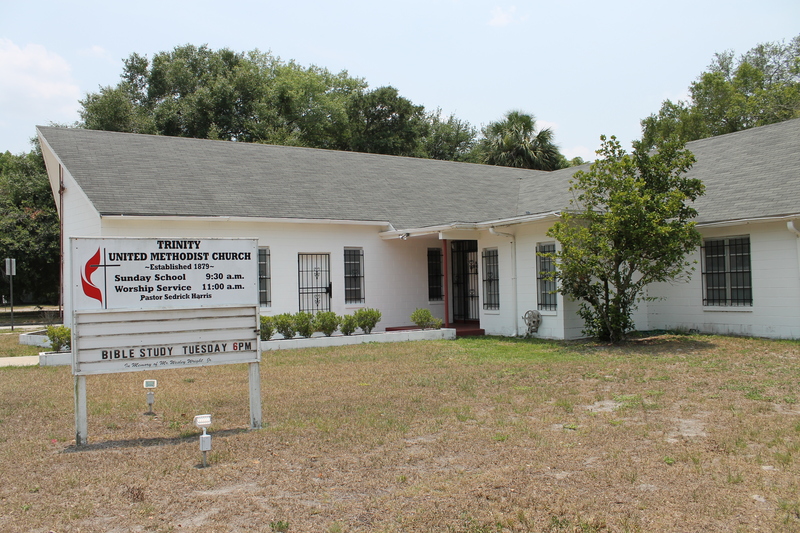 Trinity United Methodist Church (UMC), located at 526 South Sanford Avenue in Georgetown, an African-American community in Sanford, Florida, in 2011. 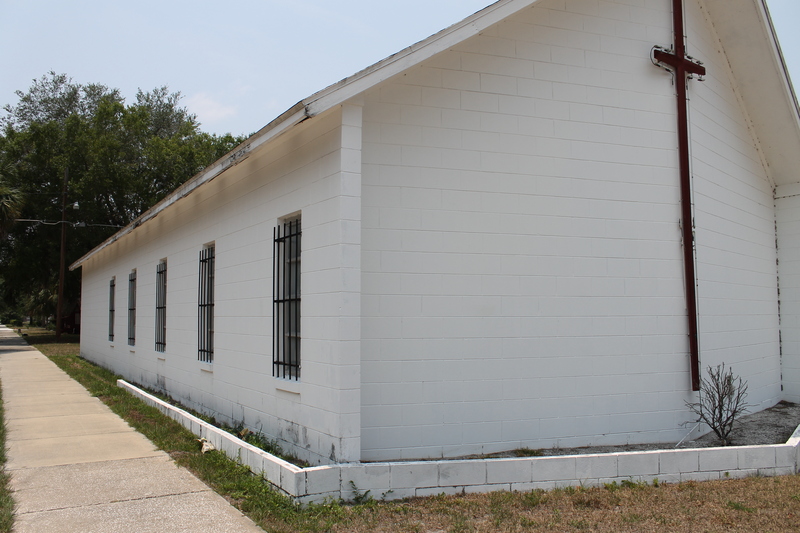 Trinity UMC was originally named the New Mount Zion Colored Methodist Episcopal (CME) Church and dates back to the early 1890s. 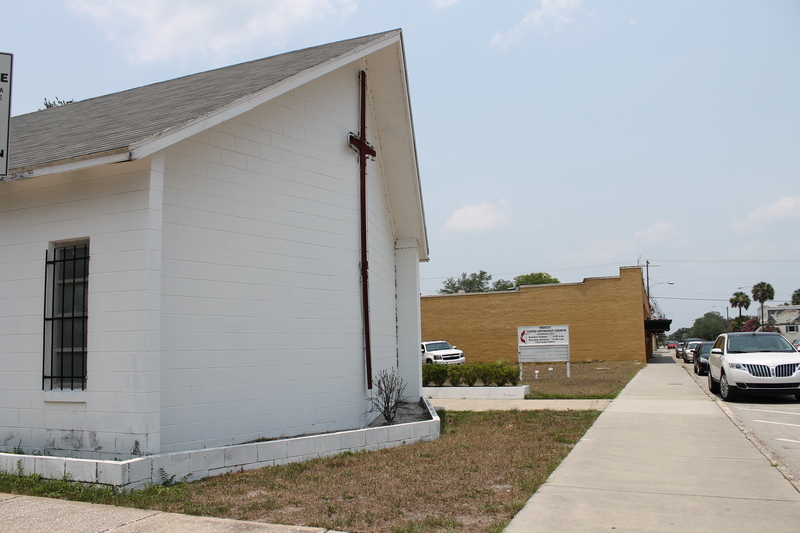 Currently located at the corner of South Sanford Avenue and East Sixth Street, Trinity UMC first held their services at the home of church member Violet Graham at East Sixth Street and Hickory Avenue. 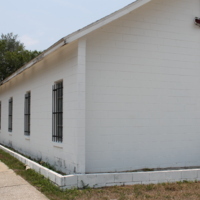 Following a donation made by the all-white Methodist Episcopal Church (MEC), services were relocated to a building erected on a lot on the northwest corner of East Sixth Street and Sanford Avenue. 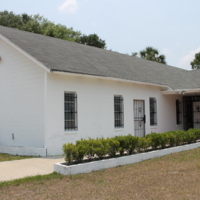 In the 1920s, a new church was designed and built by famed African-American architect, Prince W. Spears. Original color digital images by Kathleen MacDonald, June 17, 2011. 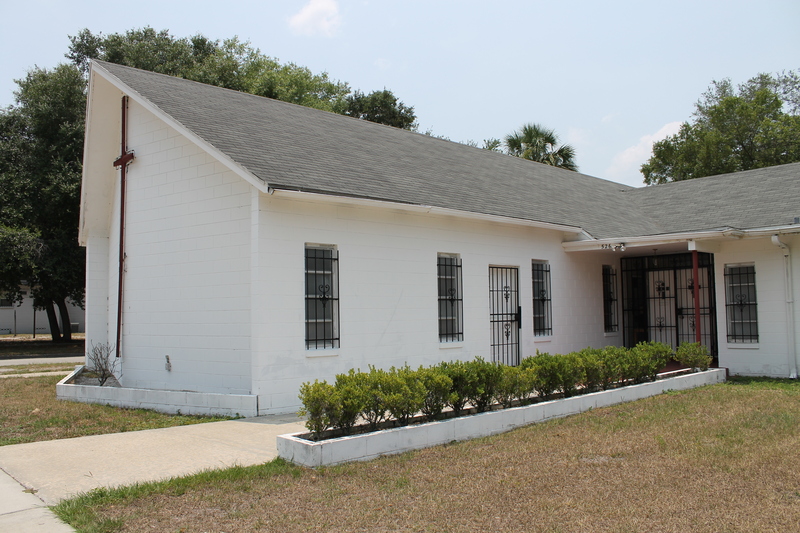 Churches of Sanford Collection, Sanford Collection, Seminole County Collection, RICHES of Central Florida. Originally created by Kathleen MacDonald and published by RICHES of Central Florida. 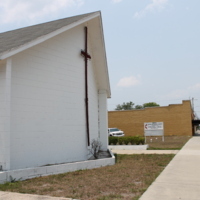 United Methodist Church (U.S.), and Association of Methodist Historical Societies. Methodist History. Lake Junaluska, N.C.: Commission on Archives and History, The United Methodist Church], 1962. Elliott, Brenda, Stom L. Richards, and Jeanne Fillmore-Richards. Orange County Black Communities Survey: Project Report. Orlando, Fla: Yielding Provost, 1990. In Memory of Mr. Wesley Wright, Jr.
6th Street; African American; African-American church; Bible study; church; Georgetown; Harris, Sedrick; MacDonald, Kathleen; Methodism; Methodist; Sanford; Sanford Avenue; Sixth Street; Spears, Prince W.; Sunday school; Trinity UMC; Trinity United Methodist Church; UMC; United Methodist Church; Wright, Wesley, Jr.
MacDonald, Kathleen. 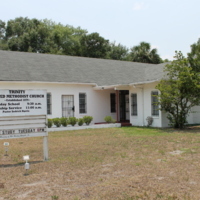 “Trinity United Methodist Church, 2011.” RICHES of Central Florida accessed April 20, 2019, https://richesmi.cah.ucf.edu/omeka/items/show/2265.